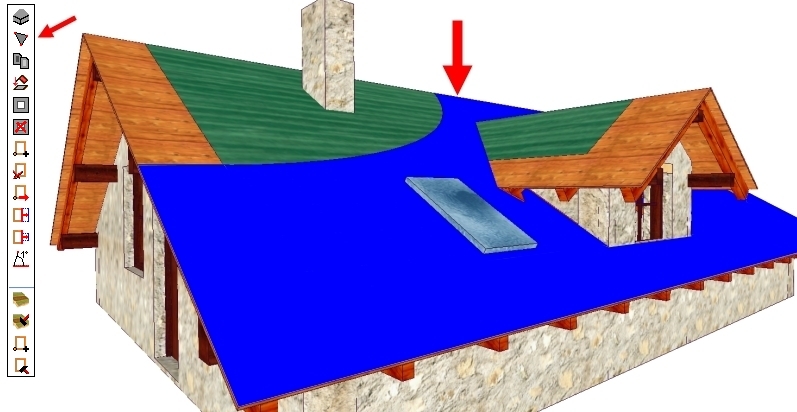 to significantly reduce their efforts! 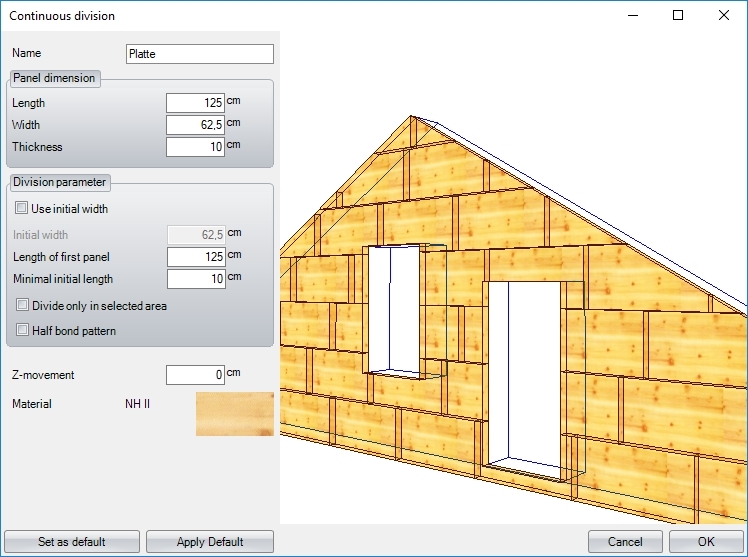 DESIGNING and PRODUCING timber houses and roofs! 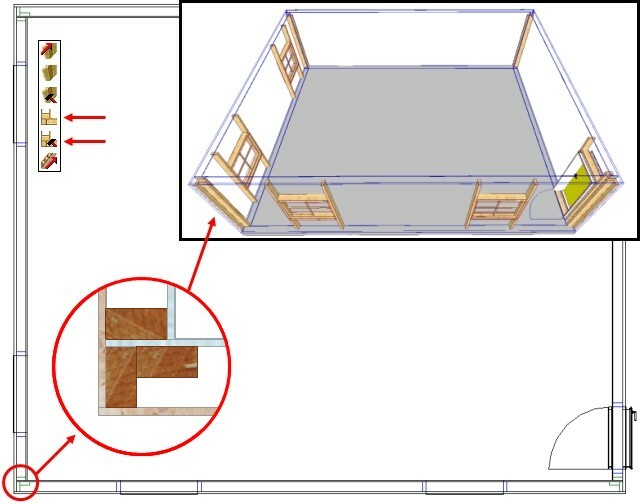 to start immediately the production! 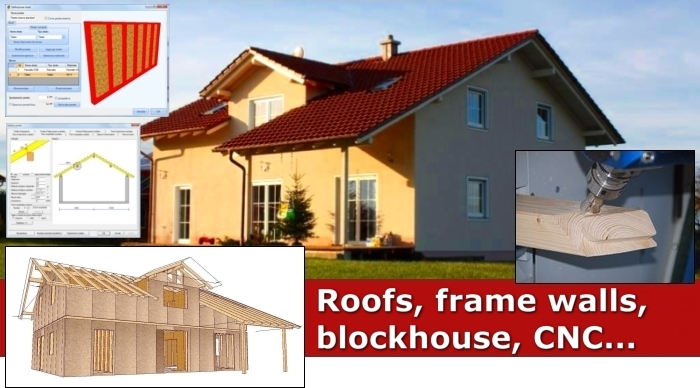 for your offers and orders! 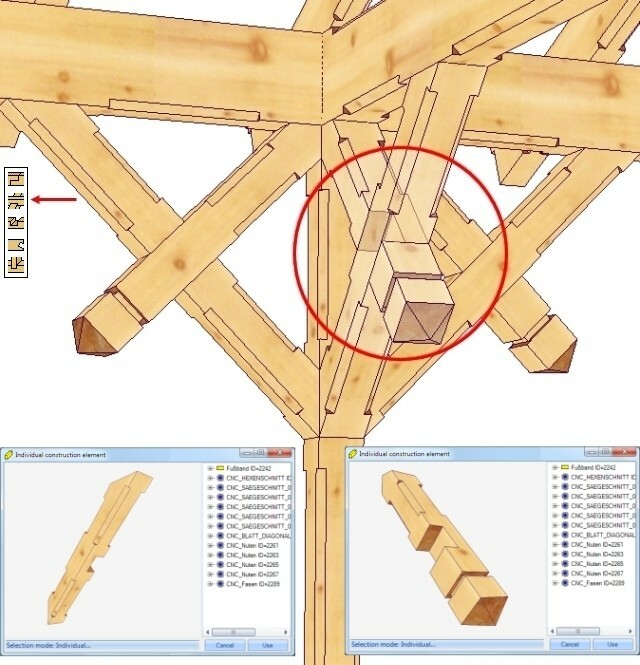 VisKon is the German software for the timber carpentry directly developed by carpenters after became computer scientists! 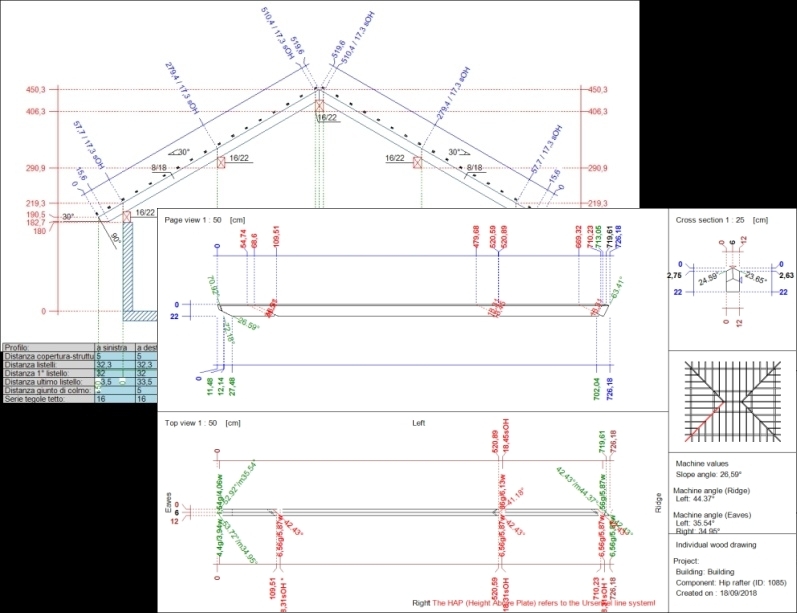 All executive drawings, the CNC (Computer Numerical Control) and the automatic bill of quantities without effort! 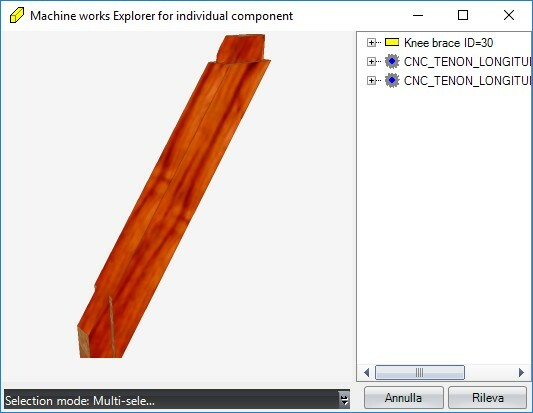 CNC module supports Hundegger formats for Cambium system, files for K1, K2, K3, K4, K5, P8, P10, (BVX, BVN, BV) and for other machines (Krusimatic, Krüsimatic, Schmidler, Auer, Essetre, Weinmann, Integra, etc.) 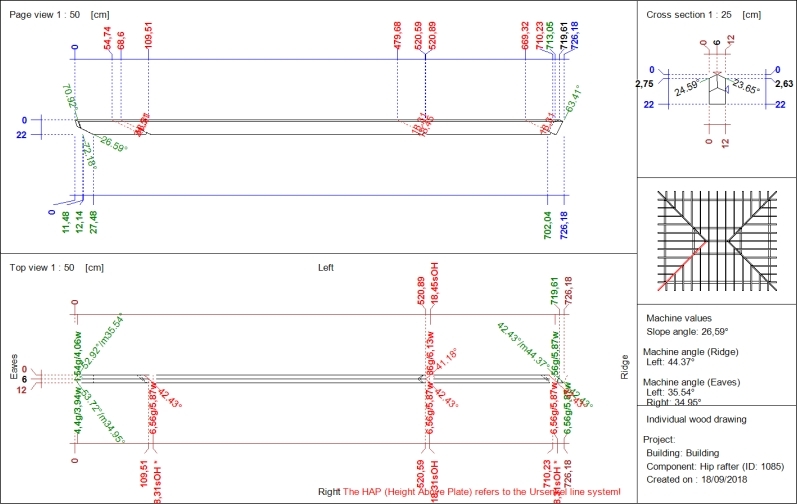 using BTL (and variants). 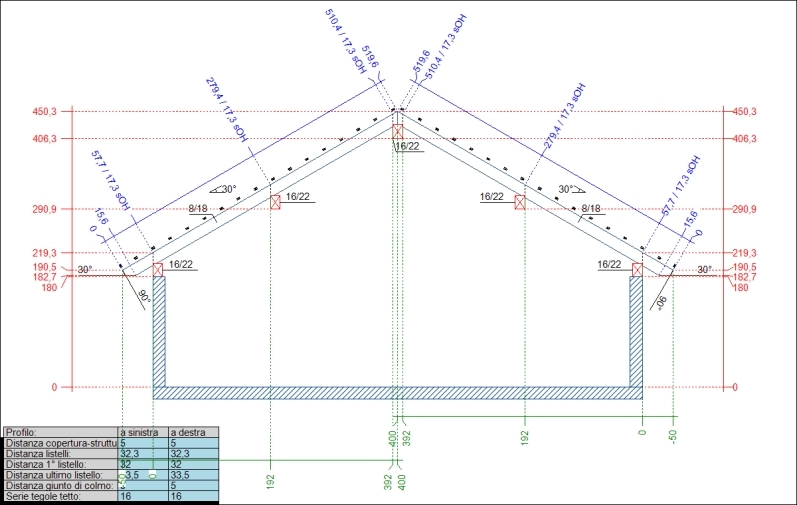 Let's start with VisKon start your Production Today! 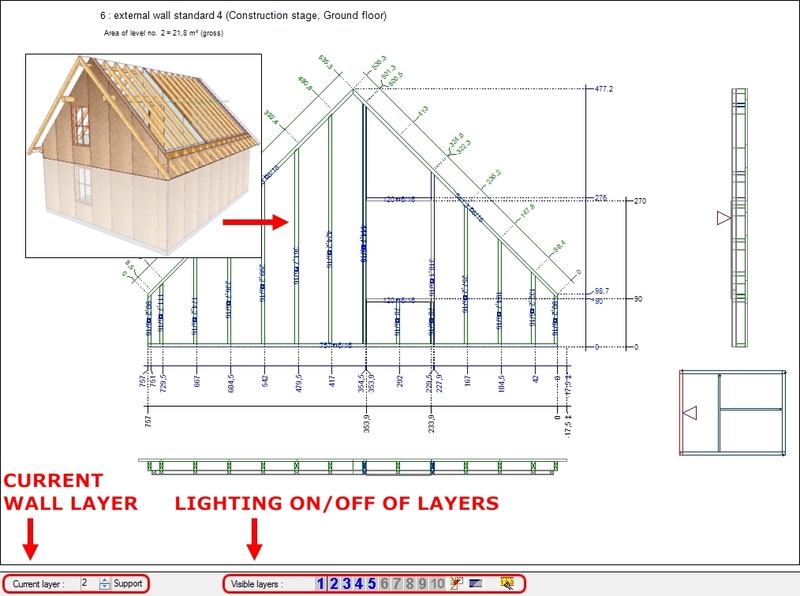 Suited for carpenters, executive designers/planners (architects, engineers, etc. 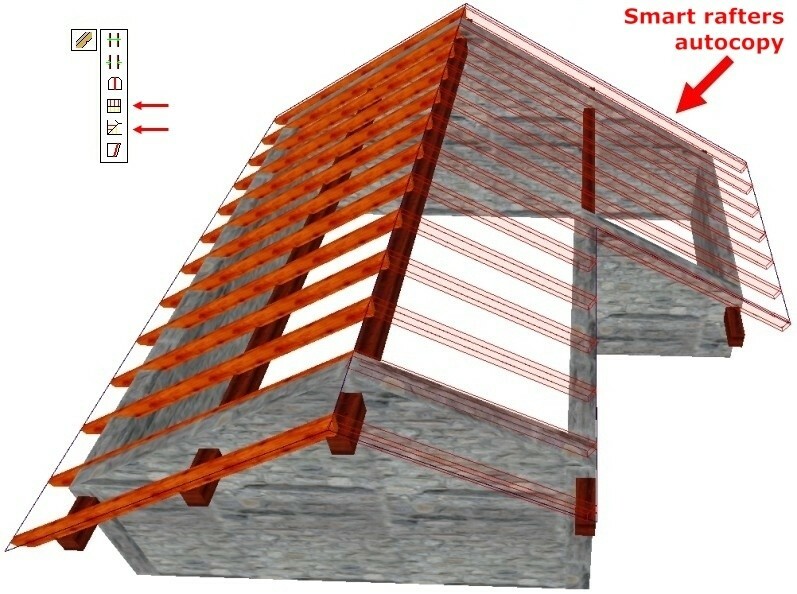 ), sawmills to design without limitations of roofs and wooden houses, trusses, pergolas and other structures, etc. 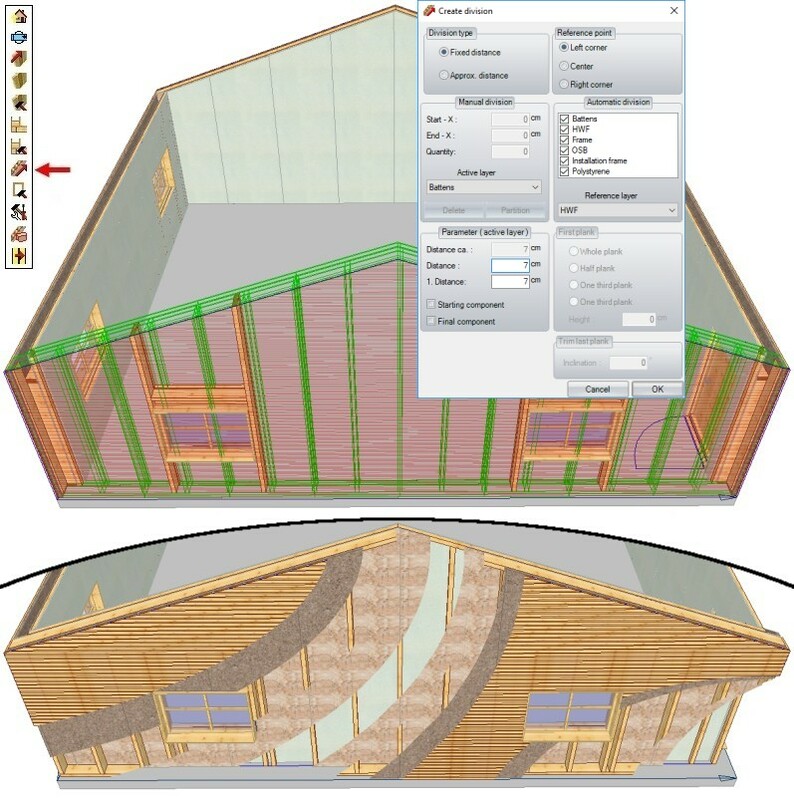 VisKon is an innovative parametric BIM for timber carpentry that allows to design directly in 3D getting immediately results. 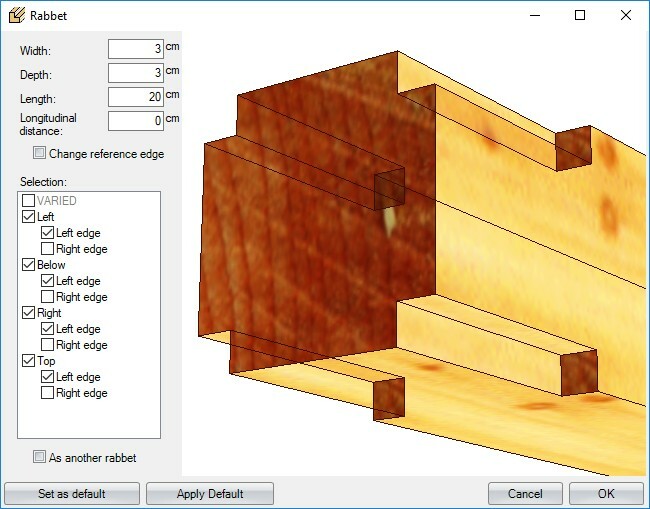 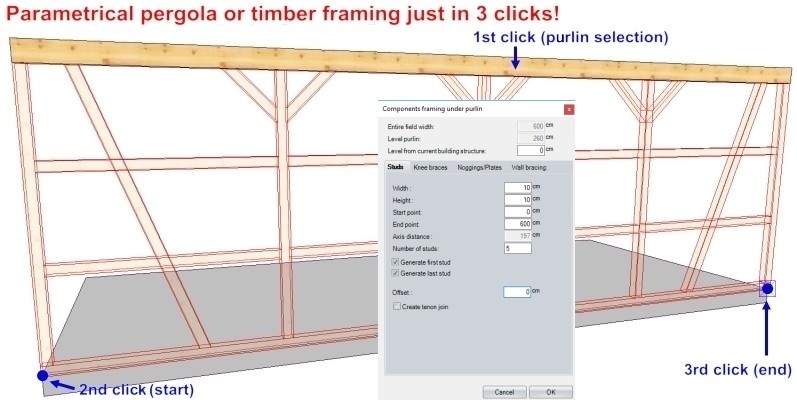 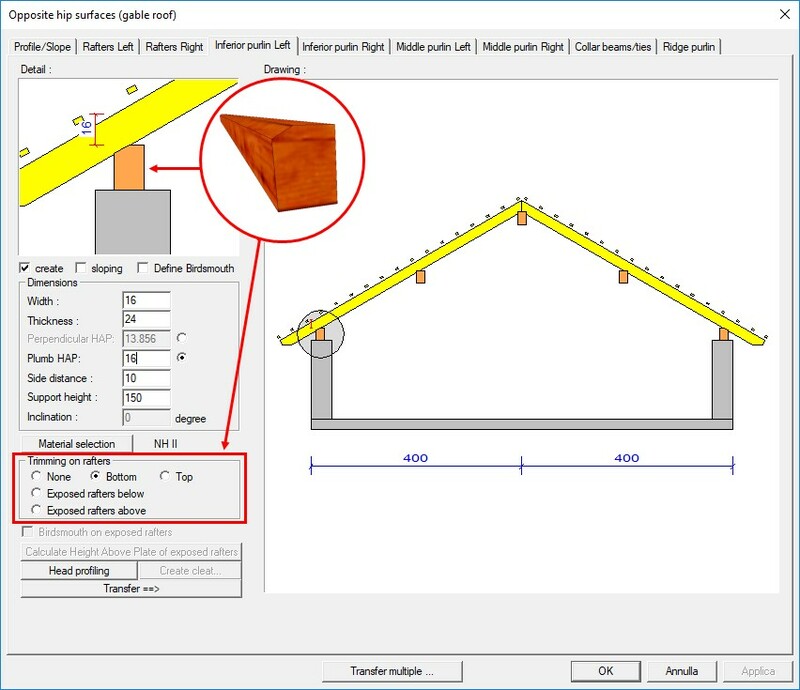 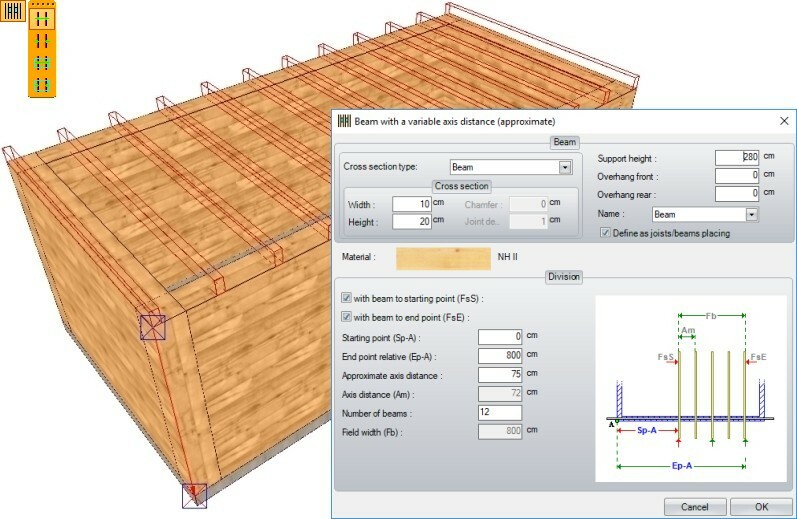 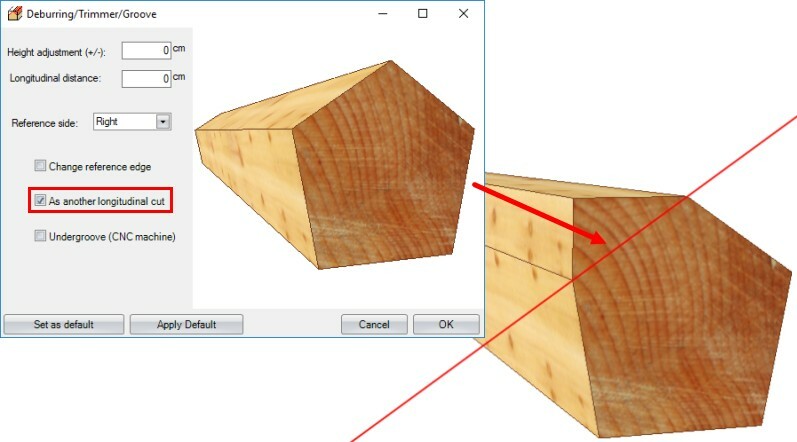 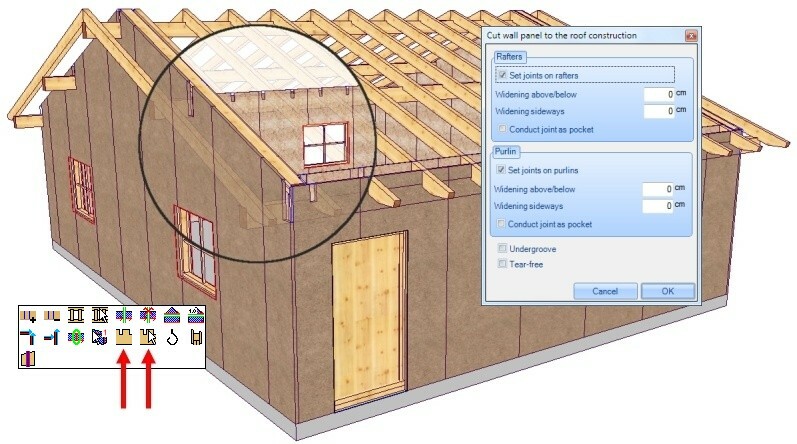 The Roofs Wizard has big options choice for wooden items that the most nice and expensive architectural BIM/CADs don't manage (in effect we have created Allplan and ArCon plug-ins). 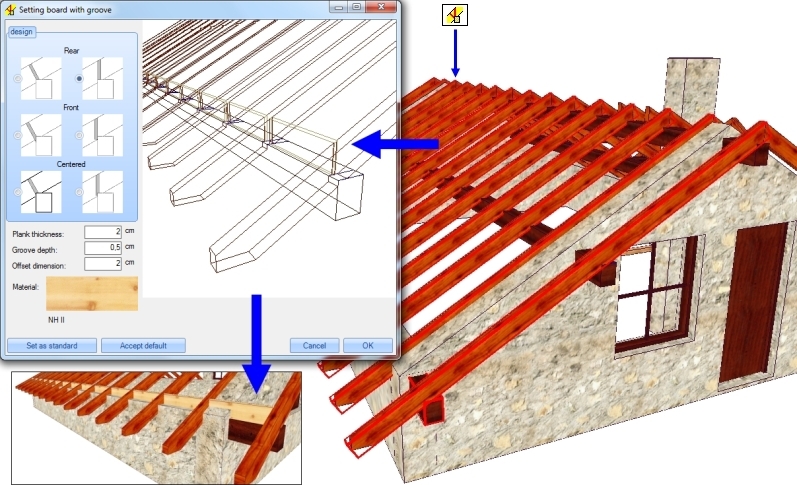 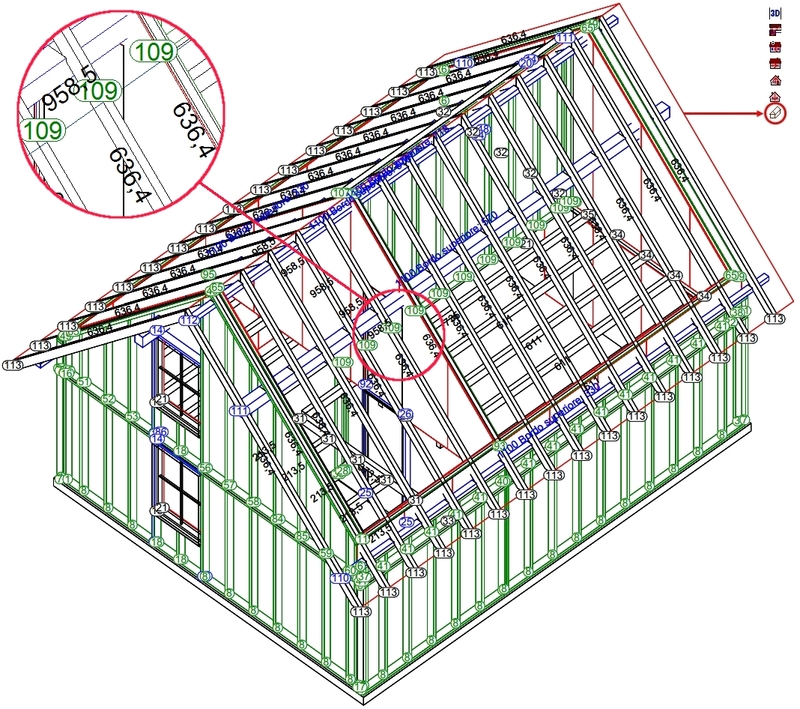 VisKon manages whether main wooden construction (rafters, base/inferior/middle/ridge purlins, collar ties/beams, etc.) 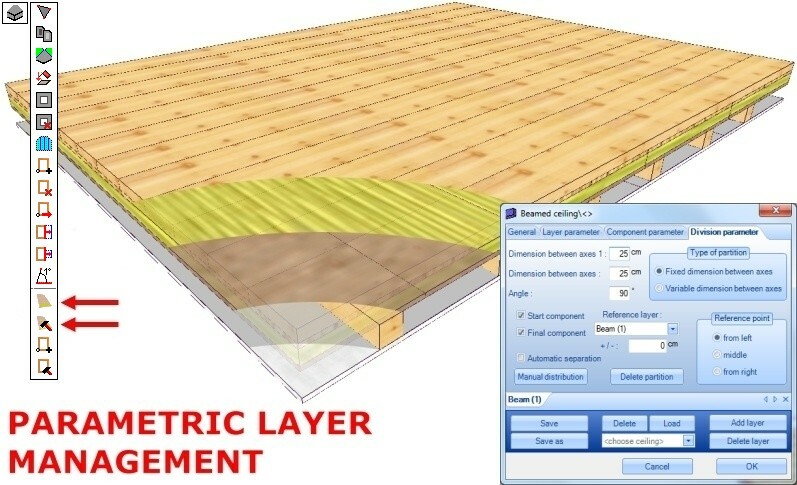 or light wooden construction (battens/counter-battens and boards) and each piece can be automatically exploded in technical drawing already dimensioned and starting quickly the productions. 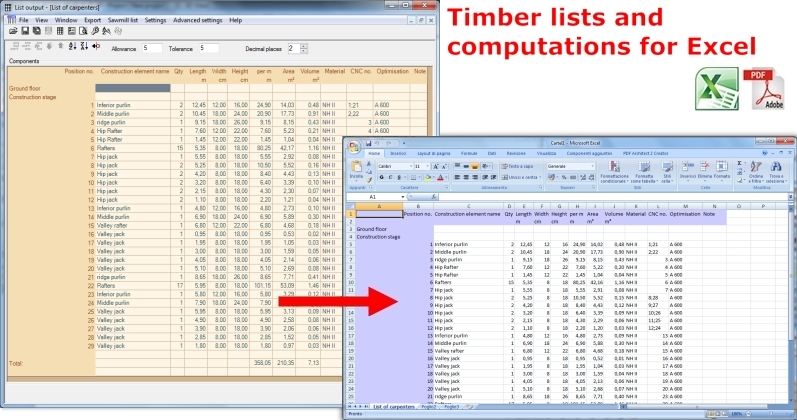 The same with for obtaining the wooden lists. 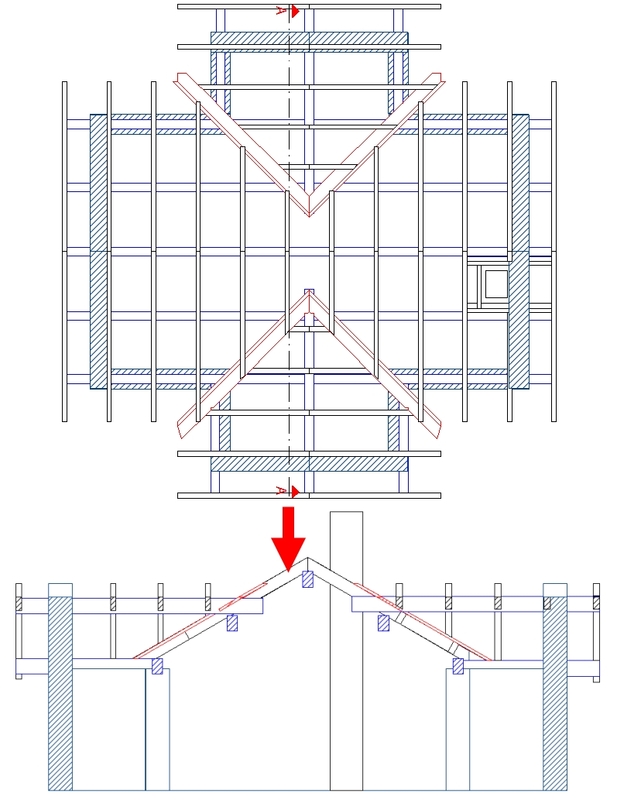 As well, VisKon allows to freely design offering tools as posts, studs, pillars, beams, planks, canopies, boarding, cornices, soffits, etc. 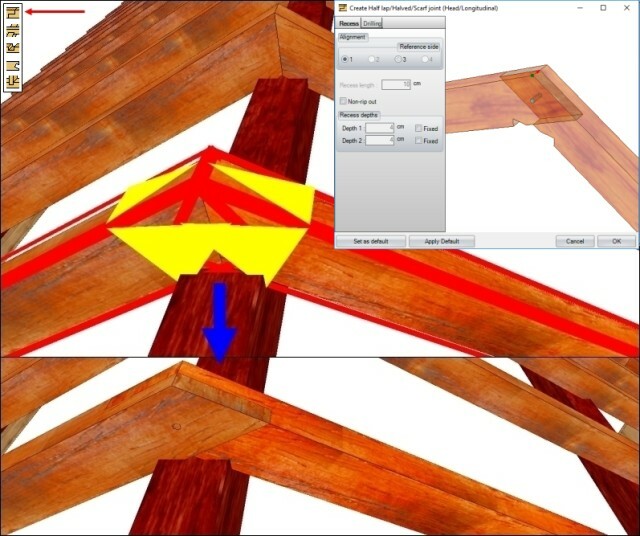 and create other type of timber constructions. 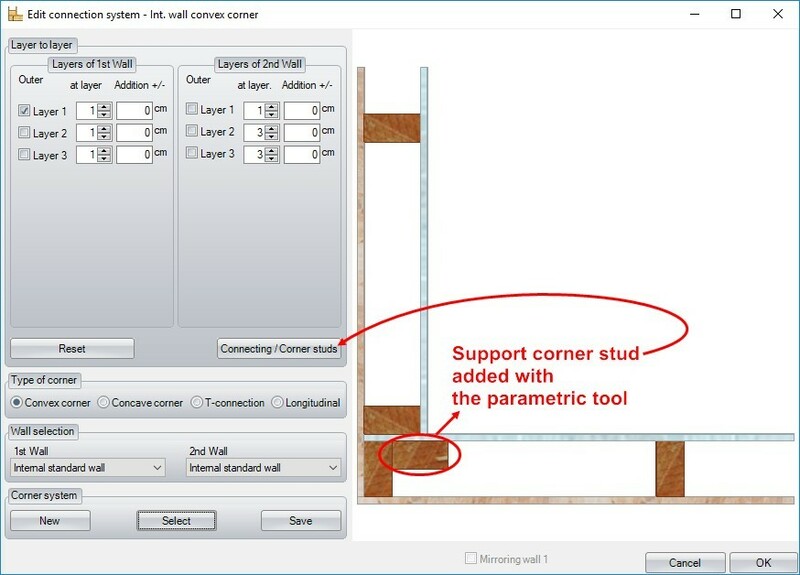 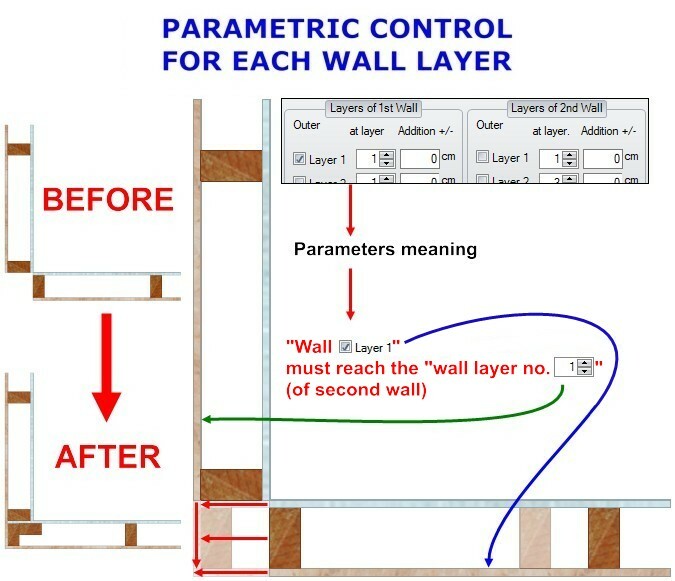 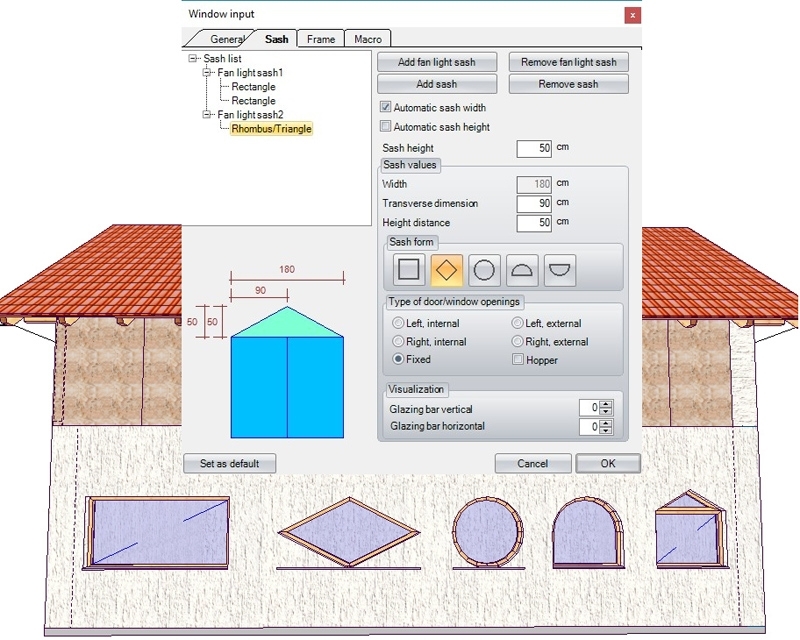 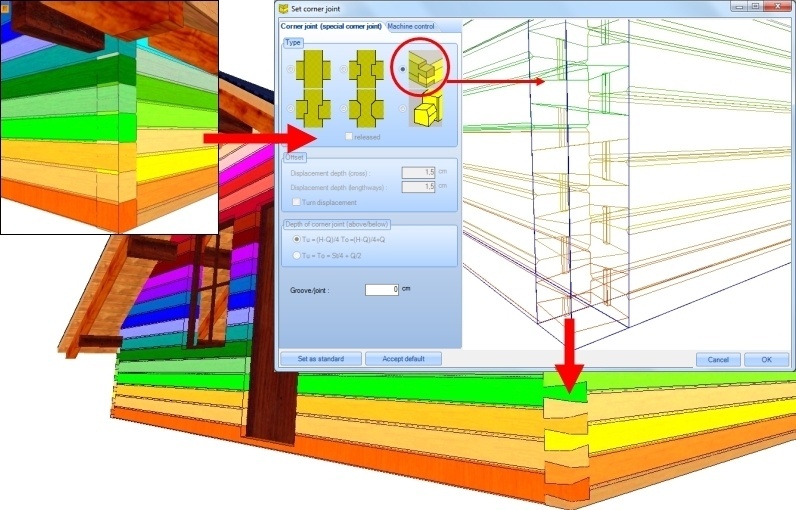 Wall layers configurator . 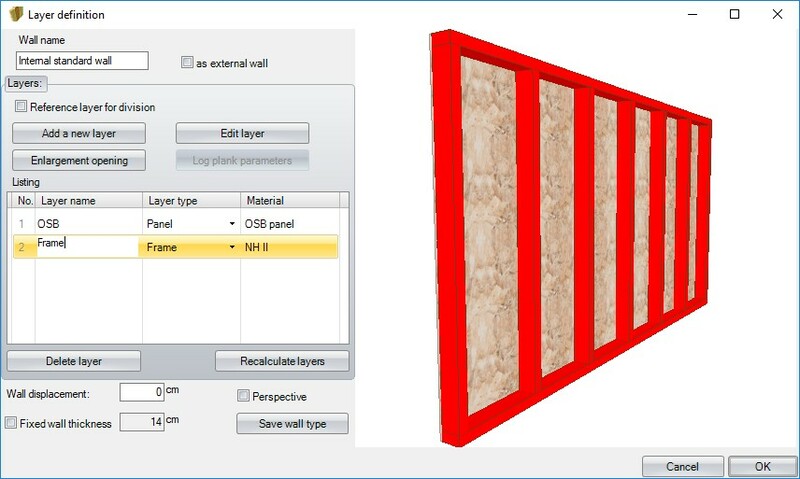 Wall layers are parametric and includes following types: Panel, Frame, Canopy boarding, Universal (Massive layer), Log plank, Battens and Massive wood. 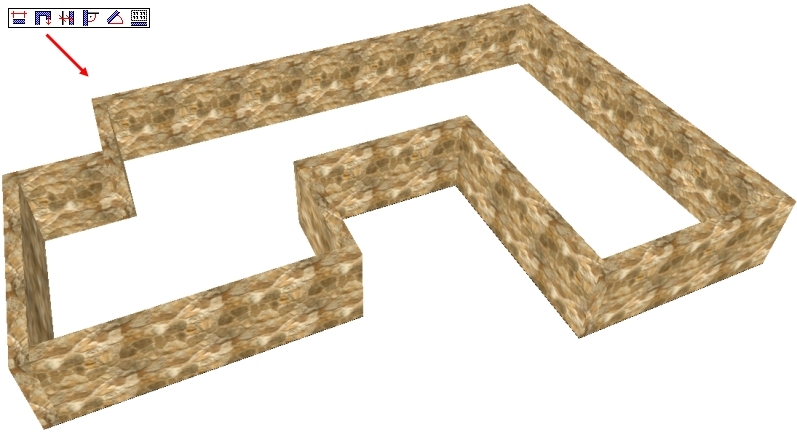 NOTA BENE: THERE IS NOT DIFFERENCE IF WALLS SHOULD BE CLIPPED BY ROOFS OR NOT. 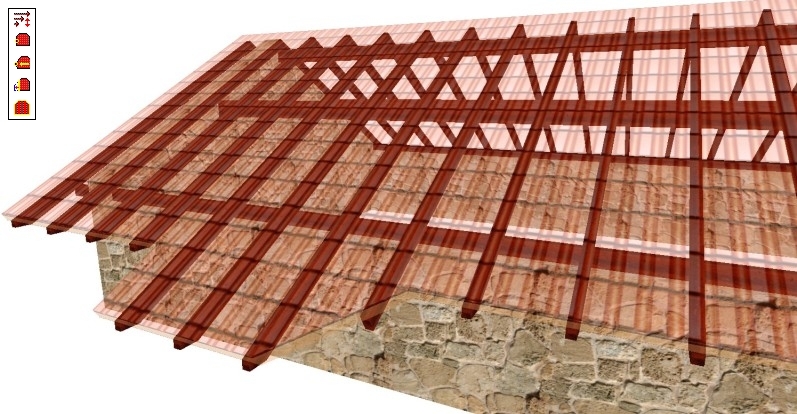 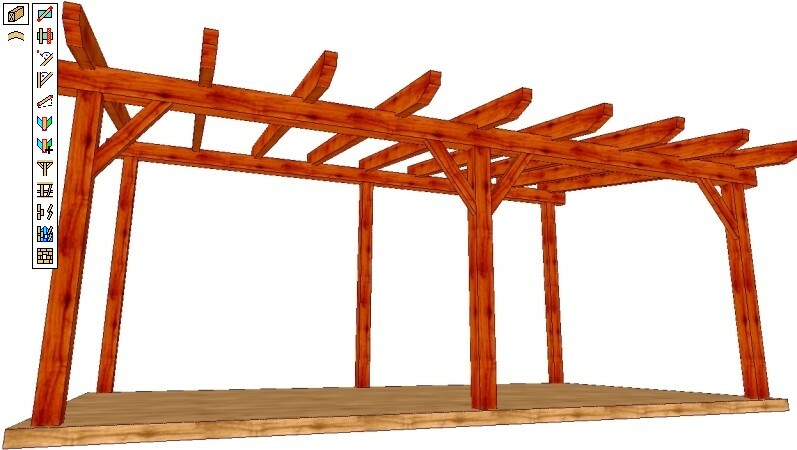 Free design: following pergola has been created by the tool free beam/post/stud. 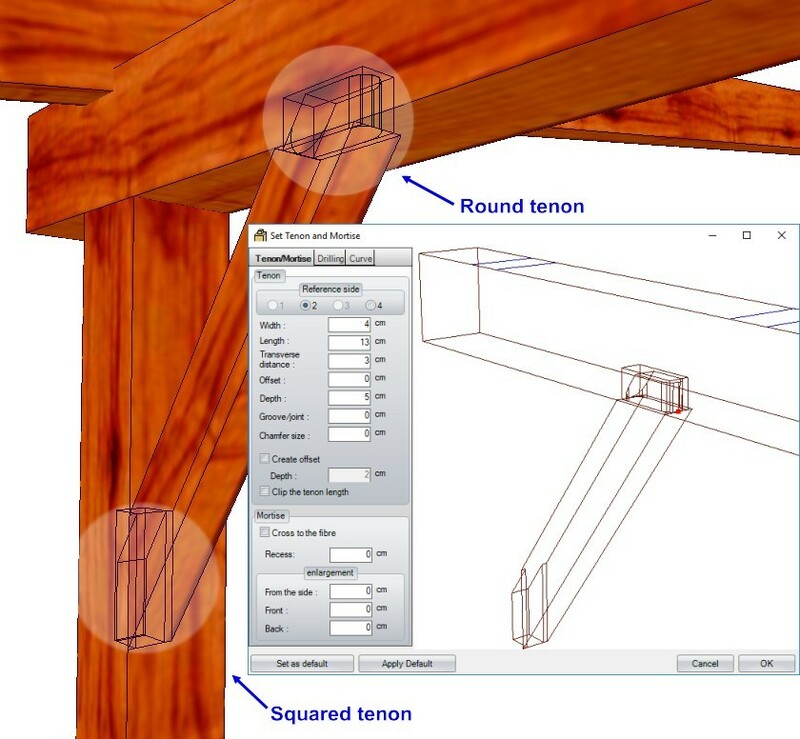 With this group of tools, it's possible to create many kind of structures. 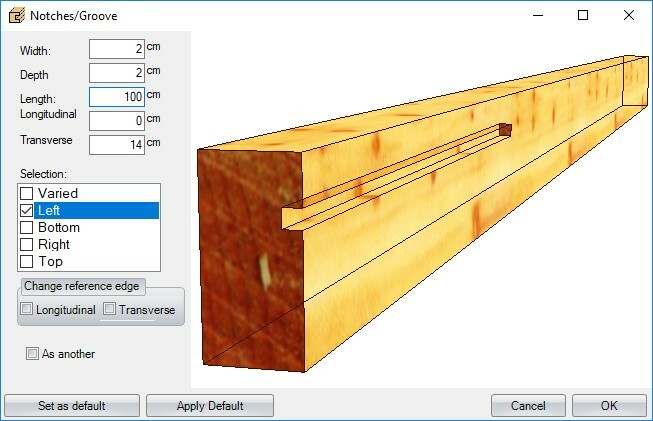 For cutting the rectangular knee brace and to become trapezoidal it has been used the tool Controlled cut (cling/recess) described below. 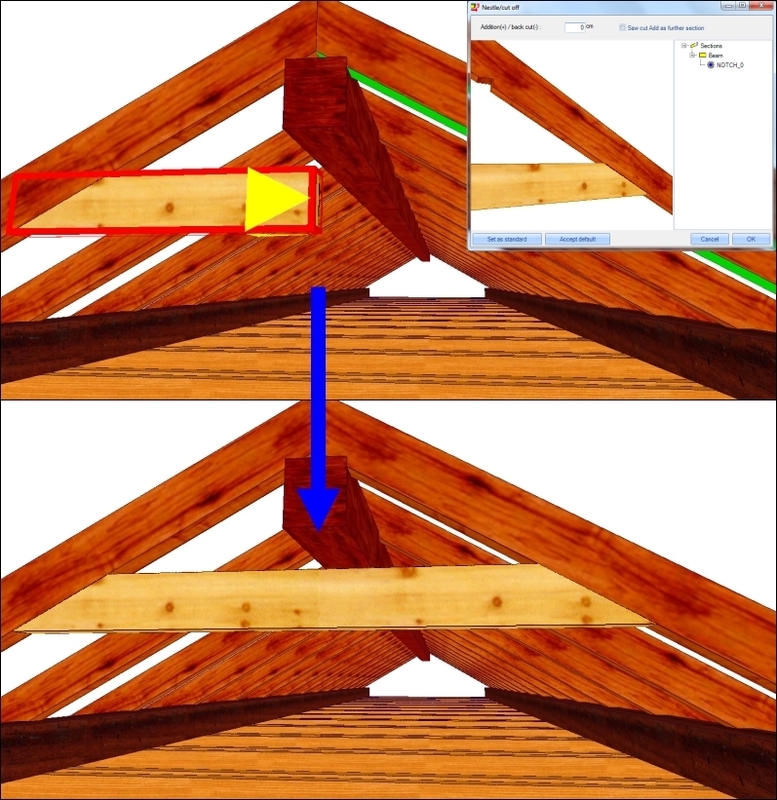 and hooked scarf joint . 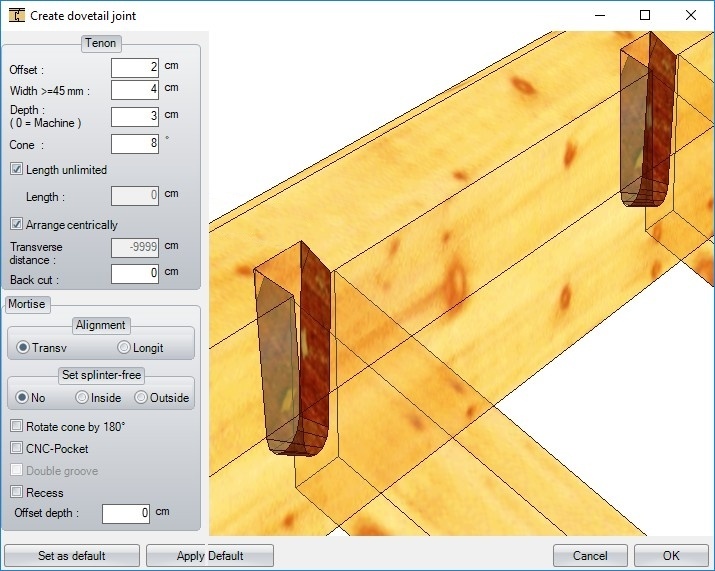 Brake/Disconnect tool for the loads distribution. 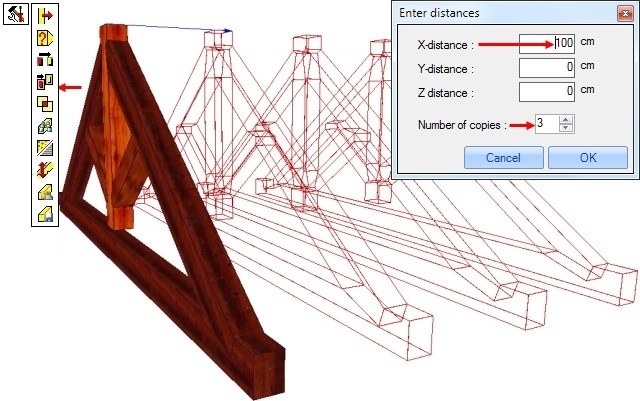 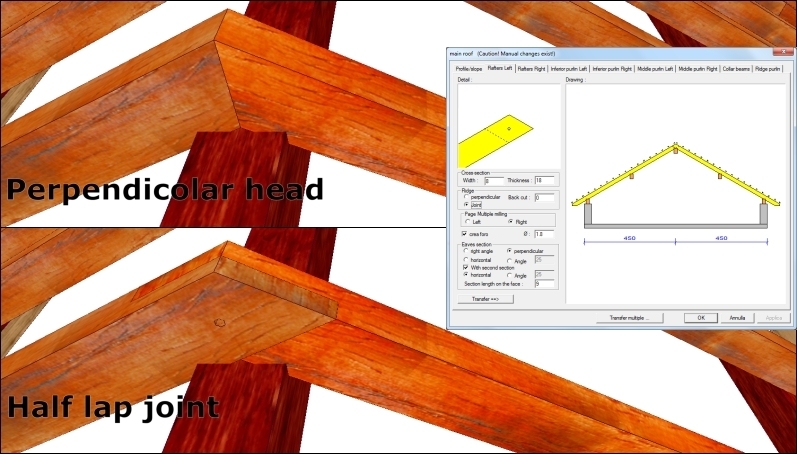 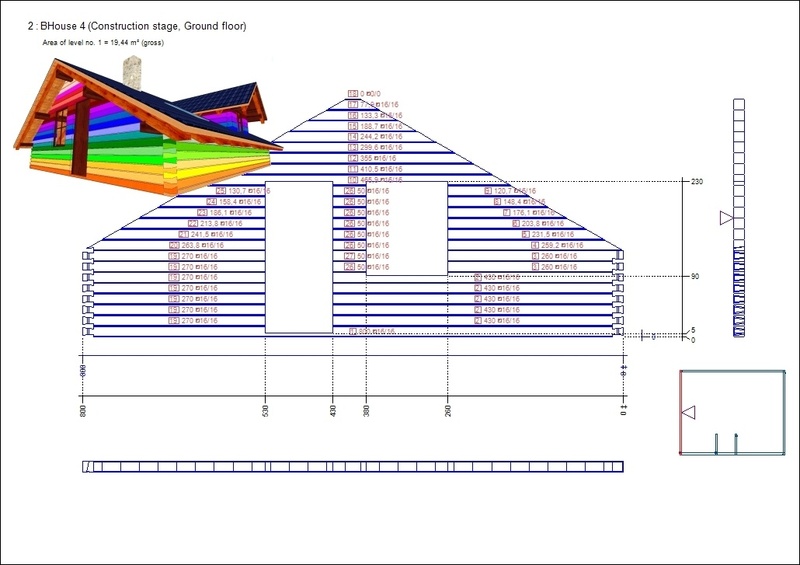 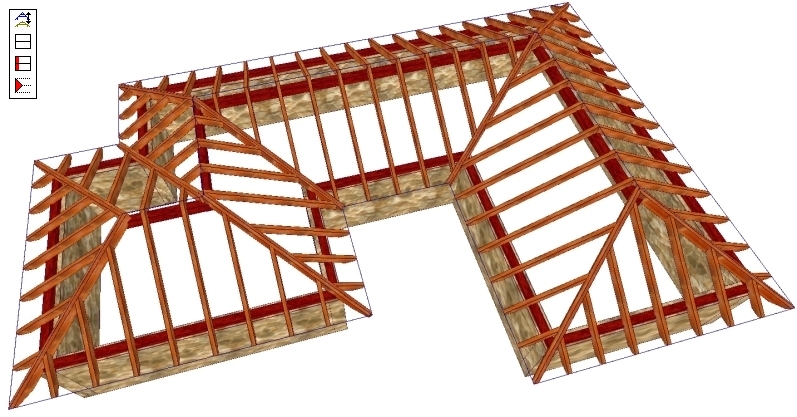 Heel joints (typically used for trusses) and beams molding (profiling) . 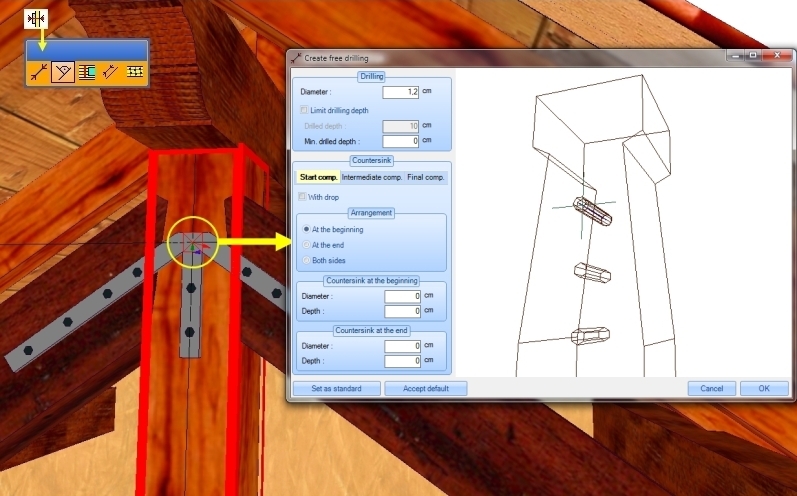 and slot tool . 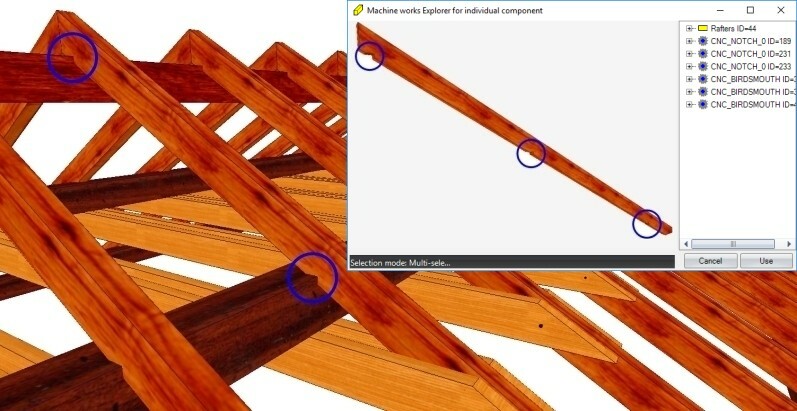 The example shows a recess but with the feature unlimited you can easily get a complete recess as a hole. 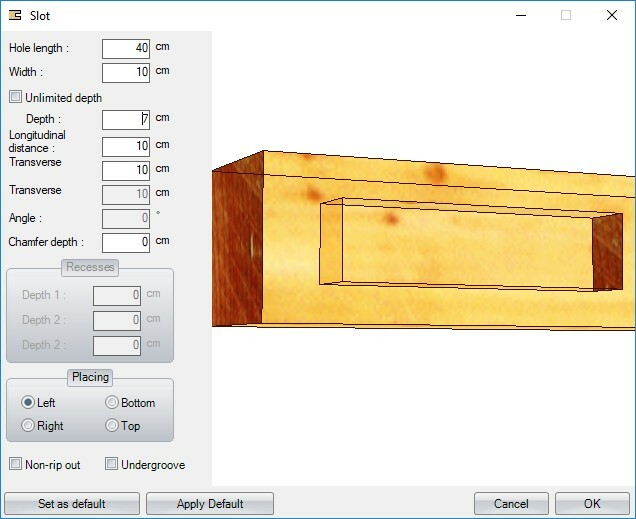 and free notches/grooves simply selecting on the dialog box the side where to apply this work. 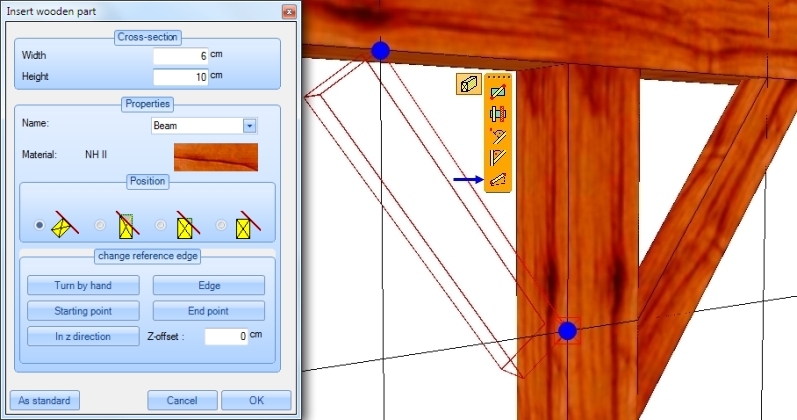 and chamfer/smooth tool simply selecting with a check box the side where to apply them. 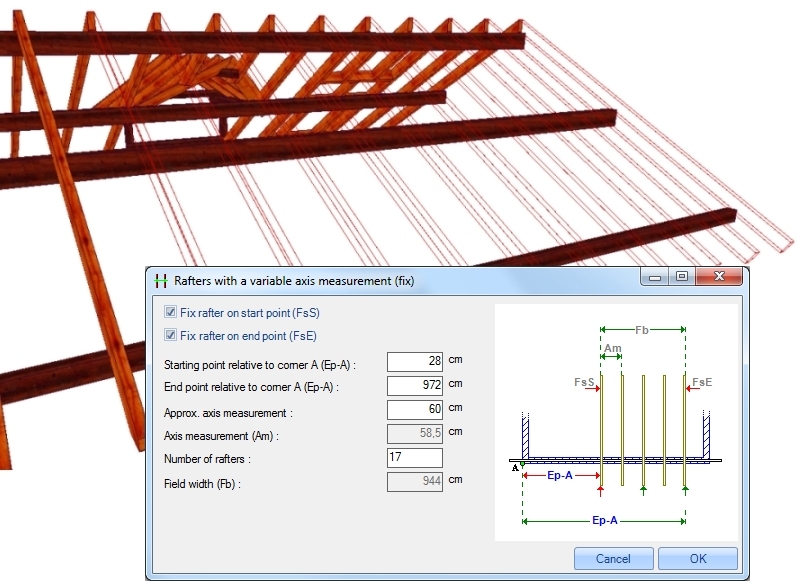 Numerically item moving and rafter heights moving . 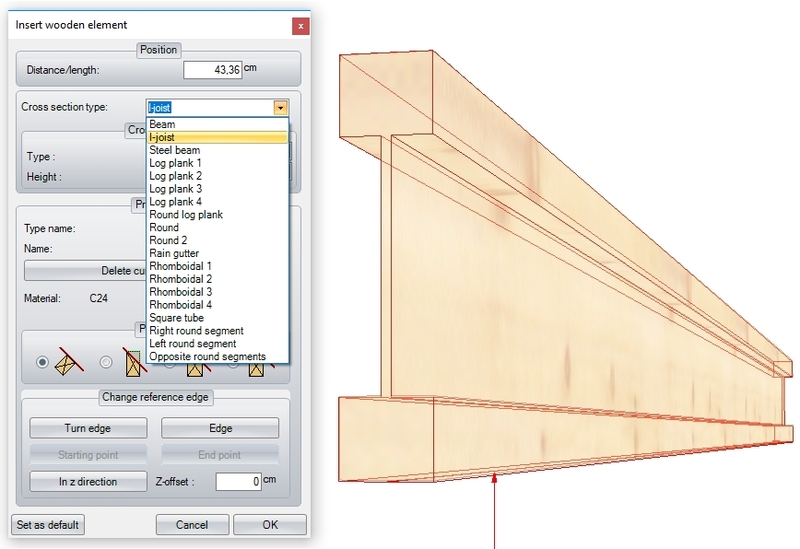 Just a click and you get the components drawing with automatic dimensions and you are ready for cutting! 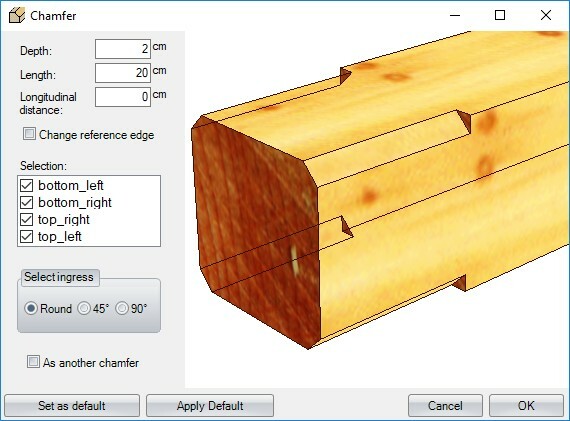 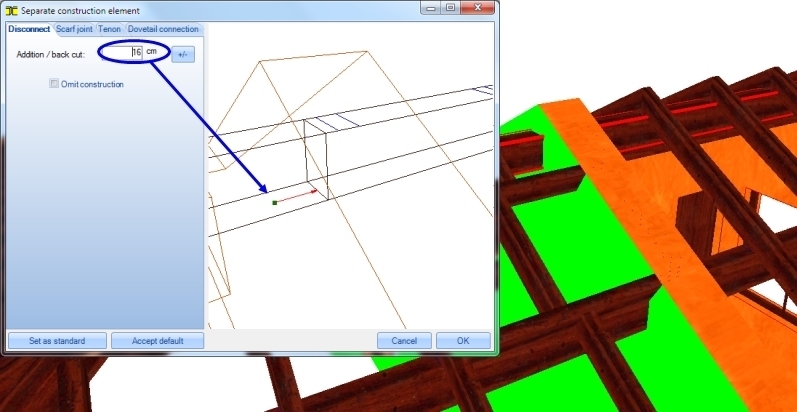 Button automatically creates any cross section on horizontal or vertical planes. 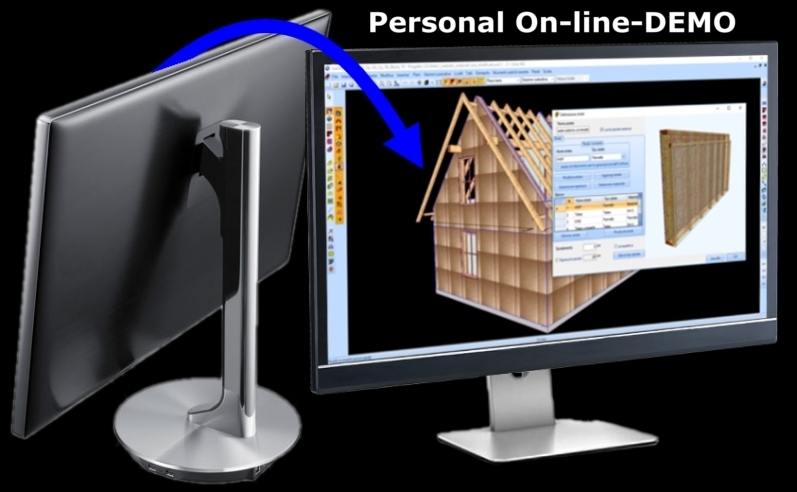 ASK FOR A FREE PERSONAL ON-LINE DEMO (WEBINAR)! 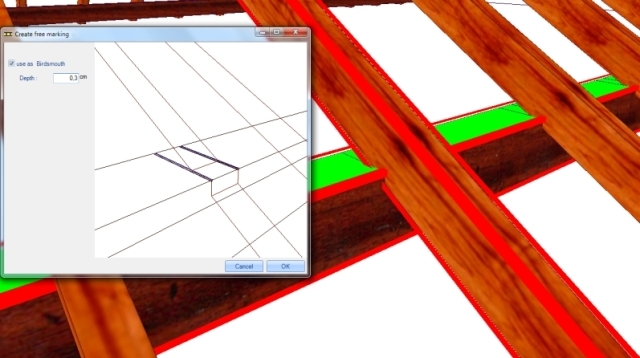 We will call you we'll be virtually side by side and (via internet) finally you'll see our screen with the software! 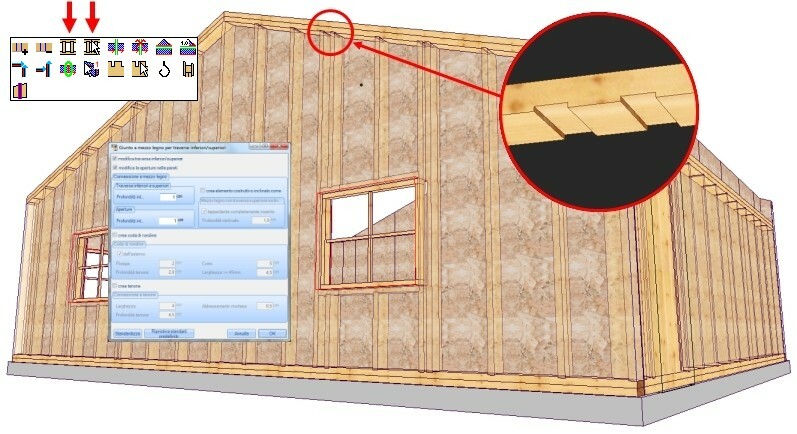 Check it out, contact us for an on-line demo!